Howard Levine — Having coffee with Ray about 10 days ago we had a variety of topics that would always come up. Recycling was interesting, pro bono law work where he was headed for a multi-hour session was something of which he was very proud. Ray would always carry a “stick of wood and a potato” at Donation Day to recall its founding. Local politics was a subject, as he was as independent as they come, but mainly a Republican he could talk about his challenges on both sides with great objectivity. So much more too! His “Good morning” as always with a certain jump and his twinkly eyes were always full of love. Suzona Pitkin — We’ve lost a true treasure in such a shining example of a man … kind, caring, honest, intelligent and devoted, Ray is missed already! Sending love to his soul and family. E Christina Dabis-Appleby — As most, Ray and I were at NU together. He was as nice THEN, as he was through the rest of his life. He waited quite a while to find his wife and he adored her and their two daughters. Just thinking of him causes me to see his smiling face. Thank you Ray … that’s a precious gift. Todd Juvinall — I am so sad. I met Ray in 1966 as a sophomore at NUHS. He and Hillary Hedman addressed all of us in the first assembly of the school year. And we knew each other ever since. Ray was a lion among us all and he will be sorely missed. Kim Somers Boundy — Ray’s heart was bigger than most and his hands were always ready to serve. His legacy is an example for all of us to follow. You are already misssed, Ray. Juan Browne — Oh dear … great article, thanks all for contributing. If you ever met Ray, he never forgot you. Mike Kochis — We lost a great historian. Ray knew everything about Grass Valley history. A wonderful man. Godspeed Ray! Ricki Heck — Ray was one of the smartest people I’ve ever known and one of those with the biggest heart. I’m so sorry for him, his beautiful family and our community. Ray’s passing is a real loss to our community. Les Nicholson — Ray and I graduated from high school in 1966. When he talked to you it was always interesting and nose to nose. I will miss him, and Nevada County has lost a wonderful friend. Bryan Martel — I’ve got the next cup of coffee Ray. I’ll really miss you. Bob Hren — I am a relative newbie to NC, and met you, Ray, only recently. I was greatly impressed with your intellect and warm personal touch. I will miss you. 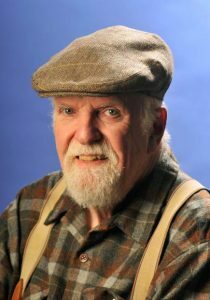 Fred Buhler — So sorry to hear that Ray has passed away. A friend of many years. Rest in Peace. Sarah Reijnen — My parents landscaped his home on High Street when I was younger and I’ve always remembered that he let me and my sister hang around when my parents didn’t have childcare while they worked. So kind.